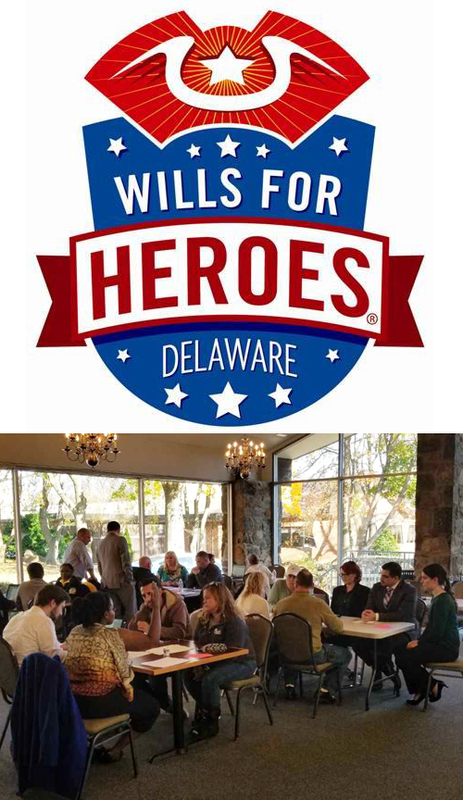 In keeping with tradition, the Delaware State Affiliate for the Wills for Heroes National Foundation held a successful and meaningful event on Saturday, November 10th, at the Barristers’ Club at Delaware Law School. Forty-one wills and health care directive documents were drafted for local first responders – police, fire, EMS, and security guards from the local New Castle County area. Assisting with the daylong process were 33 students who were instrumental in drafting the documents. Students sat alongside volunteer attorneys to interview the first responders and their spouses and input the pertinent information into a computer program. The Delaware Paralegal Association provided volunteer services as notaries for the documents. Delaware Law School personnel and faculty members also volunteered their time as expert reviewers of the wills and other tasks to make the day run smoothly. Twenty-eight states in the US have an affiliate to the National Wills for Heroes Foundation, and more states are in the process of establishing viable Wills for Heroes programs for their first responders. Each state can have only one affiliate and most state affiliates are law firms. Delaware Law School is the only law school in the nation that serves as a state affiliate for the Wills for Heroes Foundation. Delaware Law School became an affiliate in late 2009. To date, Delaware Law School has hosted 19 Wills for Heroes events spread throughout the State of Delaware’s three counties, serving first responders in New Castle, Kent, and Sussex Counties, producing nearly 1,000 wills and powers of attorney/health care directives. The creation of the Wills for Heroes Foundation was a direct result of the 9/11 attacks in the United States where many police and fire personnel died without wills or advanced health care directives. Delaware Law School will host its next Wills For Heroes event in spring 2019 and has plans to celebrate the 10th Anniversary of becoming a Wills for Heroes Foundation Affiliate underway as well.